The pressures of the job, one source tells Maclean’s, led Ford to drift into substance abuse problems early on in his term as mayor, when he stopped listening, came into work late or not at all, ceased alerting his office to his whereabouts, and refused to be accompanied by handlers from his office. Soon top aides began hearing that Ford was buying mickeys of alcohol, purchases he asked his lower-rung staffers to keep secret. His mayoralty has unspooled according to its own unforgiving logic since then, and his options have now diminished to one between resignation and self-destruction. Issuu, the free. site based in Denmark through which many magazines offer free digital replicas, has launched a new look, one which will allow readers to browse for publications based on their interests. According to a post on 10,000 Words, this will allow readers to move magazine to magazine that cover the same or similar topics. Already home to digital extensions of publications like Vice and brand materials for Red Bull and Georgio Armani, Issuu is slowly becoming one of the go-to places for publications to get their brand to readers. In terms of value, smaller publications and scrappy startups looking for a foothold may benefit from this update, thanks to discovery and thematic recommendations that could drive new readership. Among Canadian titles which use Issuu are Canadian Jeweller, Musicworks, Canadian Architect, Printaction, Canadian Restaurant & Foodservice News, Hardware Merchandising, Wine Country Ontario Travel Guide, Home Builder Magazine Canada, The Real Estate Book, Vancouver Island, City Life (Vaughan), Kawartha Life, In the Hills, Healthy Directions, Global Brief, U of T Magazine and Canadian Author. Magazines Canada will be unveiling a new piece of magazine media research on June 4 at 12 p.m. at the ballroom of the Courtyard Marriott in Toronto. (In effect, it is a pre-event of MagNet, the magazine industry conference.) The presentation of How Magazines Connect with Consumers is free and includes lunch, but registration nominally closed May 28. The research is intended to demonstrate how advertisers connect with consumers using magazine media channels. The findings are presented by BrandSpark International. Brandie Weikle, who was senior editor of Canadian Family magazine 2005 - 2007, is returning as editor-in-chief, effective June 10, 2013. She has in the interim been editor of healthzone.ca and parentcentral .ca at the Toronto Star (both discontinued) and, most recently, the digital director at House & Home Media. As news brands continue to believe in their content imperative, they dilute their equity by using cheap-content tricks to build volume and by handing their brand value to advertisers to replace lost ad revenue. Marketers help publishers milk those brands. And the public? We’re smarter than they think we are. We’ll understand when news organizations become paid shills. We understand that marketers would still rather force-feed us their messages than simply serve us. --Jeff Jarvis (Buzz Machine), writing on Medium.com about falling into the trap of native advertising, erasing the distinction between ads and editorial. American Business Media reports that total 2012 B2B revenues in the U.S. grew 3.4% to $25.5 billion, with much of that increase the result of digital advertising, which increased 15.9% to $4.1 billion, and events (e.g. trade shows) which increased 4.4% to $11.7 billion. Print revenues fell 4.8% to $7.5 billion. B2B events contributed about 46% of total revenues, print advertising about 29%, digital about 16% and data and business info about 9%. "Delving more deeply into the year-end print report, the [ABM] data reveals that only two vertical segments – agriculture and travel/events – showed an increase in both ad pages and total revenue in 2012. Another six of the 22 total verticals included in the survey managed to grow print ad revenue even as total ad folio shrank. The remaining 14 verticals saw aggregate print ad pages and revenue decline. That’s over a total of 6,044 business magazines currently published in the United States." 60.5% of B2B CEOs surveyed in January said they expected business conditions to be even better next year, while 37% were neutral and 2% negative. Metro, the weekday freepaper with city editions across Canada, has undergone a redesign of its front page and some inside sections. (It was necessitated by a recent slimming of the paper's trim size.) The redesign was carried out by K9 Design, known for its work on a number of magazines such as Alternatives Journal and East Coast Living. K9's creative director Norm Lourenco explained that they moved the masthead to the very top of the page and made the logo bigger, getting rid of the sky bar. The keys were moved directly below the masthead and new elements added like like a “web-call-out” and social media cues to help drive readers to the web site. When we changed the web width of our paper, we needed a compelling new front page design that would compensate for the inch of editorial space we lost – and contribute to increased pick up and pass along rate." In an era when most mobile phones have a camera, it is possible to forget that great photojournalism is more than point-and-click. It can result in moving, amazing works of art. Case in point is the show Photography: Horst Ehricht, May 28 to June 21 at the John B. Aird Gallery in Toronto. Ehricht was, among other things, director of photography at Maclean's magazine from 1965 to 1972 and a prolific freelancer for publications ranging from Time, Life and Sports Illustrated to The City (Toronto Sunday Star) , Reader's Digest and Chatelaine. "In a career spanning over four decades, award-winning photojournalist Ehricht took tens of thousands of photos that appeared in leading newspapers and magazines throughout North America and Europe," said a release from the gallery]. The Aird exhibition focuses on four key themes in this body of work: Kensington Market in the 1950s; Homesteading in Alberta in the 1960s; the 1967 Detroit Riots; and Politicians and Personalities. From Lester Pearson to Oscar Peterson and Marshall McLuhan to Bobby Hull, this last category includes some of the biggest names ever to emerge from Canada." 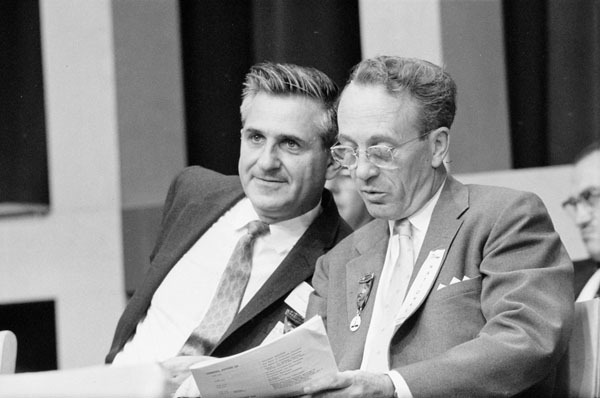 Ehricht studied photography at Ryerson Polytechnic, graduating in 1955 to work as a freelancer. In 1991, the National Archives of Canada acquired Ehricht's entire collection of works in black & white -- 450,000 of them. He won the lifetime achievement award of the Canadian Association of Professional Image Creators (CAPIC) that same year. [This post has been updated] Michael Schellenberg is no longer the literature officer of the Ontario Arts Council, according to a brief item from Quill & Quire site. This, after being in the job less than two months. The abrupt departure may be considered puzzling, even alarming, to the many nationally and regionally important cultural magazines based in Ontario which depend on the OAC for part of their operating funding. "According to OAC director of communications Kirsten Gunter, program deadlines and assessment panels remain on schedule," said Q&Q. "Details about interim management of the office will be released over the next few days." According to the OAC's announcement of his appointment on April 4, Schellenberg had been freelancing as a publishing consultant in New York, and as an editor, teacher and writer. Before that, he was associate publisher at Alfred Knopf Canada from 2003 to 2011 and senior editor at Penguin Canada from 1998 to 2003. The national edition of Frank magazine, the satirical and muckraking publication which closed in October 2008, is apparently being revived as an online publication starting in the fall, according to a post on Canada.com by Postmedia News. Michael Bate, who ran the magazine from 1989 is bringing the national Frank back in a blog format -- similar to Andrew Sullivan's The Dish -- with a paywall and a subscription price between $10 and $15 a month. The national Frank, based in Ottawa, was a spinoff of a Halifax-based biweekly regional publication which started in 1987 and has continued since in both print and subscription-based online form. A BC investor is backing the launch of Modern Farmer magazine, a glossy, high-end U.S.-based publication, focussed on sustainable architecture, diet and lifestyle, according to a story in BCBusiness magazine. Frank Giustra, best known for involvement in mining and for building Lion's Gate Entertainment, became involved with the project because he had in recent years begun to invest heavily in locally sourced food and buying up high-yield farmland all over Canada. Giustra was introduced to the publishing opportunity by Gary Ross, the former editor-in-chief of Vancouver magazine. The person looking for backing for her vision was founder Ann Marie Gardner, who is Modern Farmer’s editor in chief and has based the magazine out of farm-ringed Hudson, New York, two hours north of Manhattan but still close enough to tap all the comforts of the planet’s media centre. Modern Famer’s rich, considered aesthetic and resemblance to high-end print media brands like Monocle, GOOD and Dwell are no coincidence. 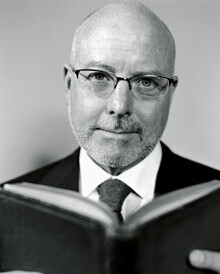 Gardner was a founding editor of Monocle (launched by Canadian-born Tyler Brule). “The audience for this magazine is me,” says Giustra. “I wanted to help create something that didn’t exist. I love to cook, I’d like to know where ingredients come from. People like me, in a certain manner, care about how animals are raised and are more suspect of processed foods every day.” He says the audience is growing and increasingly insatiable. And he’s right—the 100,000-copy run at $7.99 per issue of the inaugural edition is sold out in retailers like Whole Foods in Canada and the U.S. and the company is doing a second printing of No. 1 next month to meet demand. There has to be a better word for "crowdsourcing" when an online publication is actually passing the hat to its own readers to get enough money to publish a print special interest pub. Covet Garden, the online home and garden title, is asking its readers to pony up $18,000 between now and July 6 in order to produce Covet Garden Home, a 100+-page magabook. The hope is to use the money it raises to pay some of the addition production costs such as paper and printing and that the difference between the $18,000 and what it really costs will be covered by selling the magazine/book in newsstands and in booksellers as well as online. So far, about $4,100 has been pledged. "We know you love our past features, but we also want to make the print version a new experience. Which is why we want to photograph new spaces, bring you updates on past homeowners and novel DIY projects and food and drink ideas for entertaining." Like many such enterprises done through indiegogo.com and similar sites, contributors get varying rewards depending on the amount pledged. For $30 or more, they get a copy of the publication delivered to their door. For $1,000 (if it's in the Toronto area), their home will be featured in a CG photo shoot. For $2,000 they can get a full page advertisement in the book. Covet Garden has been publishing online, monthly, for about two and a half years from its base in Toronto. Negotiations towards an agreement to protect Canada's boreal forest have broken down, according to a Canadian Press story carried by Maclean's. Three years of effort have come to nothing as two of the seven environmental organizations involved -- Greenpeace and Canopy -- pulled out, saying they had nothing to show for their efforts in preserving forestlands and wildlife. Canopy, in particular, said virtually nothing had been accomplished in protecting threatened woodland caribou. It said, in effect, that its logging partners had been dragging their feet. The agreement in principle, when it was announced in May 2010, expressed a hope to reconcile the need for wood and wood products, such as magazine paper, and the need for protecting endangered habitat and wildlife. There was an initial agreement to suspend logging on 29 million hectares of boreal forest (an area the size of Italy) representing about 66% of boreal forests in a broad swath across Canada. In return, the conservation groups agreed to suspend their "Do Not Buy" campaigns led by Canopy (formerly Markets Initiative), Forest Ethics and Greenpeace. Resolute Forest Products said that it was disappointed the participants (which included 19 forest companies) couldn't come to an agreement in what the Forest Products Association of Canada described as the largest, most complex deal of its kind ever reached anywhere in the world. Resolute said that it had made a series of proposals, including setting aside 204,000 hectares of Northwestern Ontario forest for conservation and 12% or 692,000 hectares of Quebec forest. Read's Newsstand and Cafe in Fredericton, New Brunswick, has been named Magazines Canada's retailer of the year for 2012. The downtown Fredericton store is the flagship of the Read’s/United chain of stores, with other stores in Moncton, Riverview, St. John and Halifax and in addition to the best selection of magazines for miles around (including most Magazines Canada-distributed titles), also sell books, have a healthy foods section and a full-service café with sandwiches and a patio on Main Street. Jeff Magnusson, who co-owns the chain with John Devona and Mark Smith, has been managing the Fredericton store for nine years, he and Devona designed it when they moved from a location down the street in 2004. “Our idea at the time was to get away from the convenience store end—tobacco was getting trickier and we wanted to offer a different experience....We’re specialists and proud,” Magnusson says. Read's joins a select club of other recent winners of the retailer of the year award, including Book City (Toronto Danforth), McNally Robinson (Winnipeg), Spruceland News (Prince George, B.C. ), Mags & Fags (Ottawa) and Atlantic News (Halifax, NS). 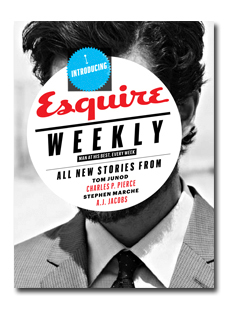 Esquire launches weekly tablet edition to get readers to spend more time. "There are different kinds of timeliness," [said Koehane.] "The monthly is all about anticipating what is going to be on people's minds or creating stories of such originality that they create their own news. Esquire Weekly will be able to be a little more reactive. It will be very timely. The ideal is to create stories and designs that meet the editorial and design standard of the monthly, but do so at the velocity of the Web." The new tablet edition is free to digital subscribers and available on demand for 99 cents from the App Store. Good story from the Toronto Star consumer columnist Ellen Roseman, exposing the chicanery of the Mike Holmes organization when it came to living up to its contracts with subscribers. It cannot be good for our business when Roseman advises her readers not to buy long-term subscriptions to new magazines. We have written here before about the disgraceful behaviour of publishers who leave their subscribers in the lurch after a magazine is closed or goes out of business, for whatever reason. In November 2011, the magazine Holmes was suspended by its publisher Dauphin Media Group of Mississauga. Holmes has been a collaboration with the Holmes Group, within which Holmes's team supplied editorial and Dauphin did the publishing side, including fulfillment of subscriptions. Various anodyne statements were made by both Dauphin and the Holmes Group about making things right for subscribers, but in the end nothing happened. Dauphin went bust (after a disastrous and still curious deal with the National Football League) and the Holmes Group now says it's too expansive to refund subscriptions or arrange at least for a substitute publication. It has effectively washed its hands of responsibility. Roger Black is one of the best known, bigtime art directors. His name has been associated with the best known brands in the magazine business; their design and redesign. Apparently, while opportunity continues to knock for his ambitious style, it doesn't knock so much anymore in North America. According to a story in Adweek, Black has announced he is moving to Hong Kong to work for a Swiss publisher Edipresse, which produces high-end society magazines. Perhaps the most prolific of his kind, Black made his reputation working on publications like Rolling Stone, Esquire and The New York Times Magazine, but also titles like Reader's Digest and the National Enquirer. He embraced digital technology, working on sites like MSNBC.com and Bloomberg.com and helping create a digital publishing platform, Treesaver. In 2012, he received a lifetime achievement award from the Society for News Design. Yet the U.S. print industry declined, and with it, the money for Roger Black redesigns. Black gave up his gracious New York apartment. "The old studio ideas of going around the U.S. and designing newspapers and magazines is not a good business anymore," said Black (who's as upbeat as ever, even when he’s talking about how grim the magazine business has become). "I’ve had this a lot—'Let’s get Roger!’" Black paused for effect. "‘He’s so expensive.’"
BPA Worldwide, the media audience auditing organization, says that more than one-third of the print titles it audits now report having digital circulation It is based on an analysis of data from the six month period ended December 31. Digital now accounts for about 22% of all total qualified circulation. Most of the BPA's top 25 titles (see below) are b2b, trade or technical. Among the publications reporting the most total digital subscribers was CFO, which averaged363,311 digital copies per issue for the six-month period. Other titles high on BPA’s list in terms of average digital circulation included Chief Executive China with an average of 336,333 digital copies; PM Network with 309,478; The Journal (101,179); and PT In Motion (73,818). "Auto Trader succeeded by remembering that it wasn't in the magazine business, it was in the motors business." -- from a story in Press Gazette about the Auto Trader which recently announced it is discontinuing its print edition and going digital only. Darlene Storey, vice-president of consumer marketing and production for St. Joseph Media, has been named Magazines Canada volunteer of the year for 2012. She will be presented with her award at the Magazines Canada luncheon on Thursday, June 6 during the MagNet magazines conference. Storey, who has taught at the Magazines Canada school for circulation for many years, also sits on the association's Direct Mail, Canada Post and Stewardship committees. She teaches Magazine Marketing and Circulation as part of the Magazine and Web Publishing program at Ryerson's Chang School. Storey directs the circulation of St. Joseph Media publications Toronto Life, Quill & Quire, Where Vancouver, Where Calgary, Where Toronto, Where Ottawa, Fashion, Men’s Fashion, Canadian Family, Weddingbells, Mariage, Glow, Pure and Ottawa magazine. Prior to joining St. Joseph Media, Storey worked as Group Circulation Director for Transcontinental Media (now TC Media), overseeing Canadian Living, Homemakers, Madame, Style at Home, Elle Canada, Canadian Home & Country, Canadian Gardening, Outdoor Canada, Canadian Home Workshop, Vancouver Magazine, Western Living, MORE magazine, The Hockey News and the IT Trade publications. 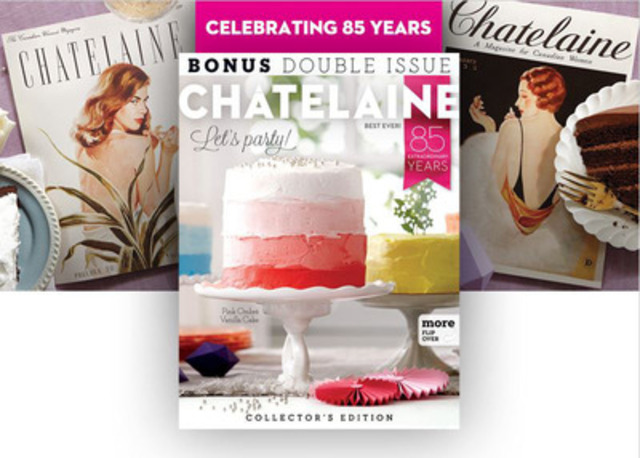 Chatelaine magazines' June issue, on newsstands today, marks the occasion of its 85th anniversary (not Canada's oldest, but close) by publishing eight different covers in a special bonus double issue. The magazine, which is #1 in Canada in terms of paid circulation, now has 800,000 unique monthly visitors to its redesigned chatelaine.com website. According to a company release, the magazine has 40,000 followers on Facebook, Pinterest and Twitter and has 33,000 monthly visits to its tablet edition. Known best as the star of the international hit comedy series, Little Mosque on The Prairie, Zaib Shaikh has worked across Canada as an actor, director and producer. He starred in Deepa Mehta’s latest film, Midnight’s Children, adapted from the novel by Salman Rushdie. He co-produced Long Story Short: CBC Turns 75, hosted by Martin Short. He co-wrote, directed and co-produced the Gemini Award winning television film, Othello, the Tragedy of the Moor. His other television work includes lead or guest starring roles in Metropia, Da Vinci’s City Hall, Book-a-boo, Murdoch Mysteries and The Dead Zone. Currently, Zaib is in development with a variety of television and film projects under the banner of his production company, Governor Films. Recently he delivered a keynote at Harvard University’s 375th Anniversary, and he travels across Canada and the world speaking on the power of Arts and The Media as a platform to greater understanding between Eastern and Western cultures. Information about tickets (early bird discount deadline is Friday 17). Atlantic Magazine Article: Marjorie Simmins – Progress Magazine – Halifax, NS - To the Manor Born. Atlantic Magazine: Best Cover: Saltscapes Magazine – Bedford – Million Dollar Legs – January/February 2012. Atlantic Magazine: Best Profile Article: John DeMont – Herald Magazine – Halifax – Graham Day. Arts & Entertainment Reporting: Any Medium: Stephen Kimber – Atlantic Business Magazine – St. John’s, NL – Six Men, Two Dories and the North Atlantic. Harry Bruce, a longtime freelance writer and contributor to many Canadian magazines, was presented with the Lifetime Achievement Award. The new award can go on the mantel alongside his outstanding achievement award received from the National Magazine Awards and two silver NMAs in 1981 and 1983 for writing in the magazine Atlantic Insight. Bruce wrote for Maclean's, The Canadian and was managing editor of Saturday Night magazine and has written more than 20 books, including everything from a history of Atlantic ferries and a biography of Frank Sobey to an Illustrated History of Nova Scotia and collections of essays as well as a respected memoir Page Fright. The hustling of "native advertising"; new Hearst digital chief says it's a "natural evolution"
There's a lot to come on the native side, and I'm glad the market is rallying around the idea, but really it's a natural evolution of doing a couple of things: Making the advertising fit more elegantly in the content experience, and making it more interesting and removing the friction from consuming it, which was always the problem with legacy advertising experience. Now it's about putting something back in for the user. Give them value or you're dead. It's a natural evolution. I think it's all good and every publishing company is going to have to deal with it. Native advertising is apparently seen as a natural evolution of a thing rather than the mere application of a rebranding gloss to something that has long been with us; advertorial, or advertising that masquerades as editorial content. Apparently, too, there was perceived to be a friction present when reading advertising in traditional formats (say, in the pages of a Hearst magazine), now to be lubricated away by making advertising more interesting and integrating it more seamlessly with editorial content. This new, elegant and apparently, better kind of advertising (also contains lanolin) will give readers more value, by the mere act of making ads look more like editorial. A nascent B.C. magazine publisher, Michael Chesney has been ordered to remove two tobacco plants that he is defiantly growing in the front window of his office. Chesney has just launched Comment Canada magazine in Nelson and, despite being a non-smoker, is apparently deliberately flouting the Tobacco Control Act. According to a story from the Province newspaper, he has been ordered by the Interior Health Authority to remove the plants from view or face a $575 daily fine. Health officials said that growing the plants in plain view amounted to "promoting tobacco and smoking to children". While the plants were ostensibly grown to provide “shade” in a sunny front window, according to Chesney, he was really trying to do something else. “I proved my point,” he said. "a crowd-sourced collaborative media hub with hundreds of pieces of cutting edge content per issue– much is sourced from local contributors online media portals and interviews, with editorial and research content produced by a small team of creative Kootenay-ites." “You write it, we print it — that’s our slogan,” said Chesney [interviewed by the Province], who used to have an advertising agency. Rosebud was the sleigh. There. I am in good company with writers who give away the endings of their favourite books (and say why) in the summer blockbuster issue of Brick, which is available in bookstores and on newsstands at the end of May. Inspired by a rousing conversation about endings at The New Quarterly’s 2012 Wild Writers Festival, editor Michael Redhill introduced the idea of including a “Spoiler Alert” feature in our Summer issue. Brick editors invited a number of writers to give away the endings of their favourite books and write about what makes a great ending. The response was astounding, and the editors have been delighted by the variety of ways contributors approached the subject and the thoughtfulness of their submissions. “Spoiler Alert” will feature writing by John Irving, Francine Prose, Sheila Heti, Colum McCann, Geoff Dyer, C. D. Wright, Marina Warner, Jan Zwicky, Lawrence Hill, and more. The Summer 2013 issue (Brick 91) has sixty well known and emerging writers from around the world contributing including in-depth reviews by Di Brandt and Tom Mayer and essays by Kathryn Kuitenbrouwer, Isabel Huggan, Kilby Smith-McGregor, Toronto’s poet laureate George Elliott Clarke, and more. Editor and Governor General’s Award–winner Linda Spalding contributes a moving piece about a recent appeal in the murder case that inspired her to write Who Named the Knife. The issue also features three interviews: Canadian novelist Madeleine Thien talks to Zimbabwean author and filmmaker Tsitsi Dangarembga; Julian Barnes and Mario Vargas Llosa discuss Madame Bovary; and Catherine Bush asks Ben Lerner about his recent novel, Leaving the Atocha Station. Lerner contributes a poem to the issue, as well, along with Jim Harrison, a regular contributor, and John Freeman, outgoing editor of Granta. There's a certain "inside baseball" feel to many reflections by magazines as they reach significant marquee anniversaries. However, the feisty, lefty, scrappy Briarpatch has put together an interesting package of recollection in its May/June issue to mark the occasion. It recalls its struggles for funding -- its endless struggles for funding -- and how it has wrestled with whether it should be a Saskatchewan magazine with a national following or a national magazine with a Saskatchewan core. The issues it has confronted are a potent reflection of the changes that have taken place over the past four decades in Saskatchewan and in this country. "Reflections on forty years of scraping by and thriving" appears in the May/June issue and it reflects the magazine's other tagline "Fiercely independent". The magazine,which grew from a four-page newsletter put out by a welfare rights group in 1971, has had more than its share of problems with government, losing funding and charitable status in an effort to punish, or silence, it. "There are two schools of thought," says longtime contributor and activist Clare Powell. "One is that government should be neutral and provide funds for magazines. The other is that if you’re reliant on government for funding, chances are that you’ll back off from criticism, which we never did, and we paid the price." "There’s something about investing your humanity, your eccentricity, your exuberance in the things you do. Why do people watch tightrope walkers? Not to see them get to the other side. It’s because they might fall. Not everything you do is going to be successful, but that’s part of the allure. It’s also what makes the work valuable: that you’re really present and invested in what you’re doing. 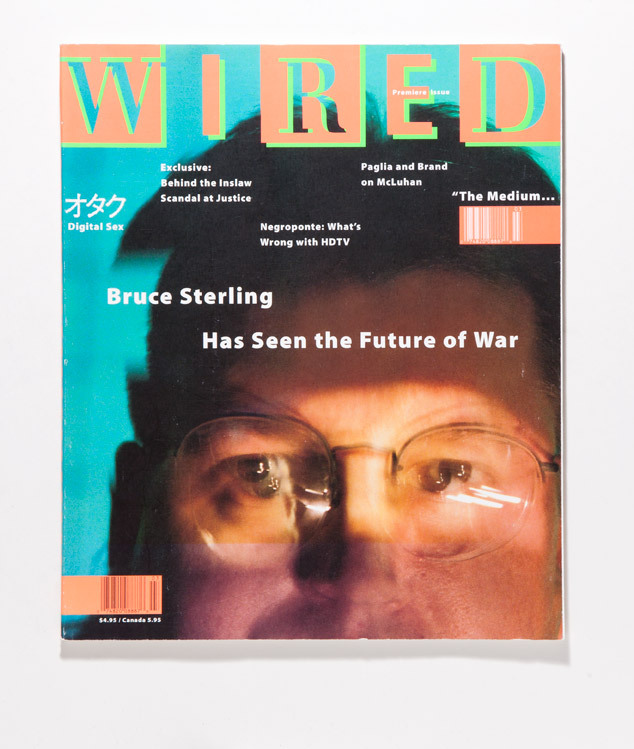 That’s what the first issue of Wired was about." -- Wired magazine co-founder Louis Rossetto, in a really interesting history of the launch of one of the most interesting magazines created in the past thirty years. Rossetto and his business and life partner had created a plan to surf the wave of technology, which they predicted would be the rock 'n' roll of the '90s. Its debut was in January 1993. -- Laas Turnbull, the publisher and editor in chief of The Grid, the Toronto weekly magazine owned by the Toronto Star, quoted in the Spring issue of Spacing magazine in an article about the gradual disappearance of newspaper boxes from the streets of Toronto. However he says he thinks of the 400 boxes his paper uses as an important part of the streetscape and "the most significant marketing tool in our arsenal." Rogers Media is changing its advertising sales structure to reflect an integrated, client-centred approach, according to a story in Marketing. A client can now talk to one Rogers person or team about an integrated solution that might involve everything from magazine ads to TV or radio spots. While most integrated media companies have traditionally built their sales departments to be platform-specific, with one team for TV, one for print, one for digital etc., Rogers’ new model addresses clients’ growing desire for integrated solutions, said Tomik. The four team leads are Mitch Dent, executive vice-president, Rogers TV sales; Brandon Kirk, vice-president of sales, publishing; Linda McErlain, general sales manager, radio; and Gavin Roth, VP, multiplatform sales. They retain their platform job titles, at least for now. Another lead will be appointed in coming weeks, said Tomik. He said the benefits would be a simplified sales approach avoiding bombarding clients with pitches from various media properties and the company infighting that can result. No word yet on which team will service which agency or client. “What we hope to do is smooth out that process in a dramatic and large-scale way so that we’re just easier to do business with, and that we integrate and work together internally so that instead of trying to ensure we make budget on a radio or television station, we’re trying to build advertising campaigns that work for the client. CAmagazine, a perennial b2b prizewinner, comes out on top in this year's list of nominees for the Kenneth R. Wilson awards for business-to-business publications. From nearly 600 individual entries, CAmagazine got a total of 17 KRW nominations*, followed by Marketing magazine, Les Affaires, Precedent and University Affairs. This year, the awards have two categories for Magazine of the Year -- professional and trade. The three finalists for professional are CAmagazine, Marketing and Up Here Business. The three for trade are Oilweek, Renovation Contractor and Salon magazine. Among individual nominees, James Menzies leads all writers with 4 nominations for his work in Truck News, Truck West and Motortruck Fleet Executive (published by Business Information Group). Garnering 3 individual writing nominations are Alicia Androich (Marketing, Rogers Publishing Ltd.), Steve Bouchard (Transport Routier; Newcom Business Media), Jeff Buckstein (Statements; CGA Media) and Nicolas Mesly (Le Coopérateur agricole; La Coop fédérée). Nominees for the special award Best Issue of 2012 are National magazine, Precedent and University Affairs. The Gold, Silver and Honourable Mention awards will be presented at the Grand Banking Hall at One King West in Toronto, on Tuesday June 4, at the 59th annual Kenneth R. Wilson Awards gala, presented by CDS Global. *An irony is that this is the last year that CAmagazine, as such, will exist. The Canadian Institute of Chartered Accountants (CA) and the Society of Management Accountants of Canada (CMA), both of whom publish magazines, have merged into a new organization, the Chartered Professional Accountants (CPA) and a new, combined publication and website will be produced starting in 2014. Paul and Audrey Grescoe have been named the winners of the Western Magazine Awards Foundation Lifetime Achievement Award. It is the first time that a couple have been so honoured. "Legendary pioneers in the Western Canadian magazine industry, Paul and Audrey's long personal and professional collaboration in journalism and publishing makes them an ideal choice for this prestigious award," said the WMAF release. The LAA judges said, 'in recognition of contributing contributions, and at a risk of weakening individualism, but in celebration of lifelong partnerships, for the first time, and perhaps never to be repeated, the panel of judges recommends Paul and Audrey Grescoe for the 2013 WMAF Lifetime Achievement Award." Paul Grescoe moved from the newspaper business to become a staff writer and editor with The Canadian magazine and Maclean's and during the 1970s and 1980s was co-owner and editorial director of city magazines in Vancouver, Calgary and Edmonton. Later, often in collaboration with his wife, he has written books on business, publishing and travel (notably on Alaskan cruising) as well as crime fiction. The awards will be presented Friday, June 21 at the Renaissance Vancouver Hotel Harbourside. The host for the evening will be CBC Radio host Jo-Ann Roberts, who is currently the Harvey Southam Guest Lecturer at University of Victoria. The nominees for the written, visual, gold awards and provincial magazine of the year categories have been released. Nominated as best new magazine were Coast Mountain Culture magazine, Homes & Living Magazine, Vancouver and Interlake Arts, Life & Leisure. -- A statement from John Steele, the publisher of a new science magazine called Nautilus. According to a post on Audience Development, the new publication will be multi-faceted: a print quarterly which, every month will explore online one topic and every Thursday will publish an online "chapter" that dives deeper into that month's topic. The initial print run is 5,000. The idea is to make it available everywhere including on iTunes and selling individual articles as Amazon Kindle Singles. The good news, according to the AAM's 2012 digital publishing survey, is that magazines are taking the lead in using technology to produce feature-rich content. The less good news is that 73% of apps are an exact replica of print editions. "Our research shows a disparity between the content that media companies serve to consumers and the content they believe readers want to consume," says Eric John, vice-president, digital services for AAM in a blog post. There are four nominees for Magazine of the Year: Corporate Knights, Cottage Life, Uppercase and Urbania. Nominated for Tablet Magazine of the Year were Canadian House & Home ("The Colour Issue"), Maclean's (Canada's Best Restaurants) and Chez Soi (“Noël 100% déco”). For Magazine Website of the year, the nominees are Hazlitt, Maclean's and Toronto Life. Contending for best magazine cover are: Adbusters, Azure, Canadian Business, Maclean’s, Maisonneuve, Report on Business, The Grid, The Walrus, Up Here and Vancouver. Balcony Makeover” (Canadian House & Home), “Les coulisses du reportage mode Icône” (ELLE Québec), “Pagelicker 01: Irvine Welsh” (Hazlitt), “Reboot on Life” (Ottawa Citizen Style), and “Toronto’s National Anthem” (The Grid); and a new written category Blogs, with 10 finalists: 6 are from Maclean’s, 2 from Torontoist, and 1 each from L’actualité and Today’s Parent. The most nominated article was “Building with the Brigadier” (Report on Business) by Greg McArthur and Graeme Smith, nominated in 3 categories: Business, Investigative Reporting and Politics & Public Interest. Chris Turner leads all individual finalists with 4 nominations in written categories for his work in Canadian Geographic, Marketing and The Walrus. Garnering 3 individual nominations are Catherine Dubé (L’actualité), Dan Robson (Sportsnet), Iain Marlow (Report on Business) and Dominique Forget (ELLE Québec, Jobboom and L’actualité). Gold, silver and honourable mention awards will be made June 7 at the 36th annual National Magazine Awards gala at the Carlu in Toronto. Ticket information. Complete list of finalists.